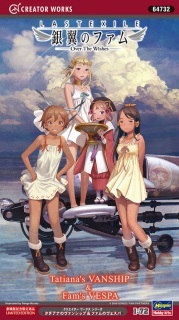 Last Exile-Fam,The Silver Wing-Over The Wishes - Tatiana's Vanship and Fam's Vespa. 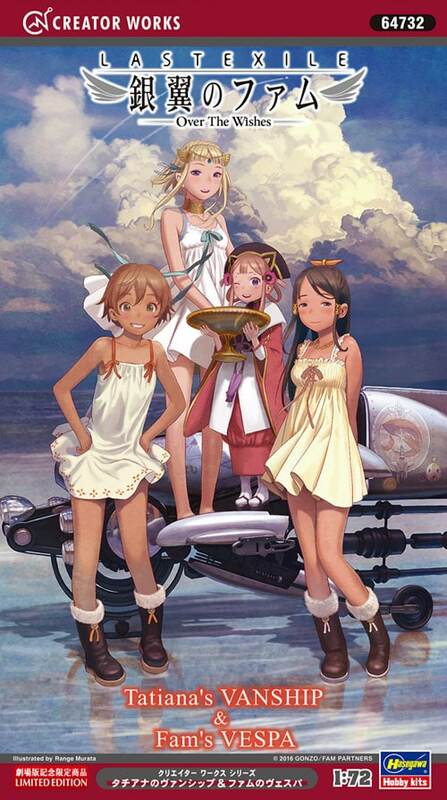 Hasegawa add the Last Exile Silver Wing Vanship/Vespa in to their Creative Works series. The kit is based on the 2011 Japanese anime series Last Exile: Fam, The Siver Wing. Last Exile is a Japanese animated television series created by Gonzo. The story is set on the fictional world of Prester, where its inhabitants use aerial vehicles known as vanships as a means of transportation.